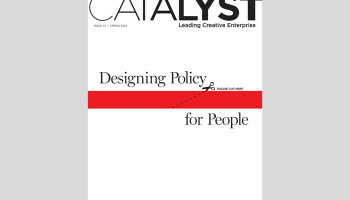 CATALYST: How is capitalism evolving – for better or worse? RICHARD FLORIDA: I remain optimistic about the future of capitalism. As Marx himself acknowledged, capitalism’s power to reinvent itself and to create new growth engines is unparalleled. But the transition from industrialism to post-industrialism has been wrenching, and the toll it has taken on the blue-collar working class in particular is dreadful. Income inequality is rife and the political backlash is leading us down the wrong paths. The system isn’t going to fix itself. If you want to put it into Marxist terms, there was Lenin, who wanted to level the existing society, and Kautsky, who wanted to make it more equitable. I am squarely on the side of Kautsky. We need to create new institutions that can deal with the tensions, contradictions and stark inequities that this new epoch of capitalism has brought us. Nothing less than a new social compact is required. Just as in the period spanning the New Deal through the post-World War II era, new institutions are required to regulate growth, create less inequality, generate good family-supporting jobs and rebuild a vibrant middle class. What are the greatest threats to its long-term sustainability? RF: I worry about the winner-take-all economy and society that has emerged. 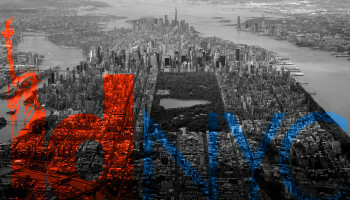 The world is incredibly spiky, and the biggest and wealthiest places grow the fastest. Too many people and places are being left behind. The creative economy functions best in dense urban settings, where human capital is the most tightly clustered. This is a good thing in many ways, in that cities are efficient, sustainable and demographically and cognitively diverse—but that spikiness comes into play at even the neighborhood scale. Since public amenities like transit and green spaces are limited, the marketplace drives up real estate values around them, creating self-perpetuating patchworks of concentrated affluence and concentrated disadvantage. But that can change. 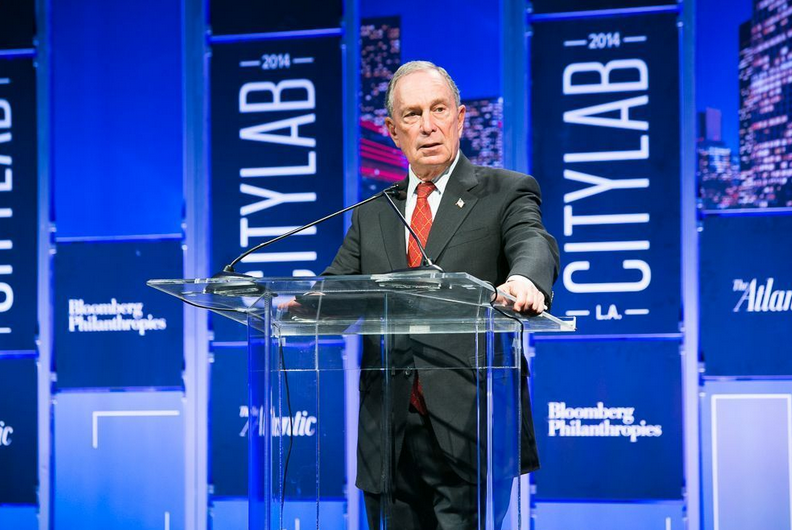 We can improve our cities by building more transit, more affordable housing and improving public education. We can do a better job than we have in developing the high tech equivalents of skilled factory work—high-skill, high-paying jobs that don’t require advanced degrees. We can change our land use regulations and tax codes to promote mixed uses, greater densities, and more economic diversity. Of course I worry that the political winds are blowing in precisely the wrong direction and that there is a dearth of sensible policy-making. This is not a time for governments to retrench. How might we organize – or design – better policy frameworks to put humanity at the center of the economic system again? RF: The logic, energy, and brute force of capitalism is relentless. Look at its historical march through machinofacture, factories, Taylorism, mass production, the Toyota production system and every manner of automation. At every stage, the mode of production was revolutionized. Humanity’s standard of living has risen; our health outcomes and life expectancies have improved across the board. No one sane would want to turn back the clock. But at the same time, the Fordist growth model—in which workers consume the goods they buy, effectively paying their own wages—has turned empty materialism and compulsive consumption into a kind of insane religion whose avatars are the Kardashians and Jersey Shore housewives of cable TV. Too many of our policies are geared towards propping up this wasteful, inefficient, overly-leveraged house of cards. Our top down thinking benefits the builders of mega-mansions and super-malls and luxury condos, when we should be looking to support growth from the bottom up. We need to stop subsidizing cars and start building a world-class public transportation system in this country. The cities that have mass transit are much better off than those that don’t, and many of those systems are legacies from over a century ago. 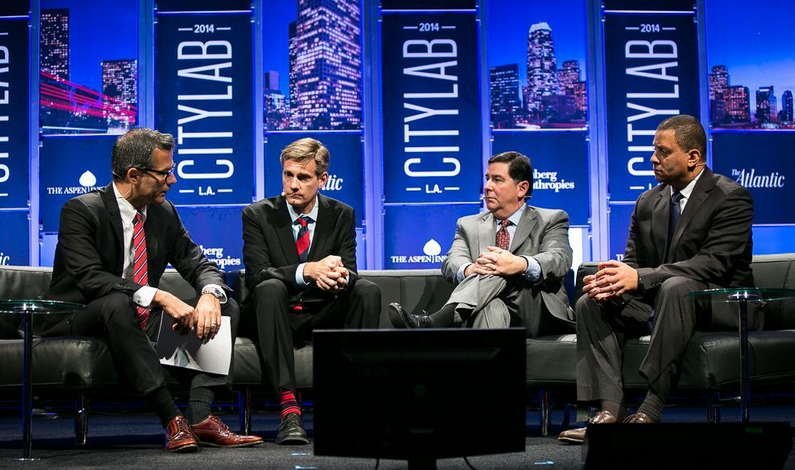 We have to make our cities and towns more livable, more wired, faster and more efficient. We need to support individual entrepreneurs, but even more importantly, we need to support kids, who desperately need Pre-K, who need better educations and more opportunities. And by that, I don’t just mean preparing them for STEM degrees, but providing apprenticeships and on-the-job training for people who aren’t academically inclined. We need to raise the minimum wage and restore and strengthen the safety net—and we need to spend literally trillions of dollars on not just repairing old infrastructure, but building new infrastructure for a post-industrial way of life. How does culture, the arts, and design shape a prosperity ethos? RF: A massive survey by the Gallup organization that I helped design found that “three main qualities attach people to place: social offerings, such as entertainment venues and places to meet; openness, how welcoming a place is; and the area’s aesthetics, its physical beauty and green spaces.” Arts are a critical part of that zeitgeist—and I include everything from street art, rock music and even tattoo parlors under that rubric. And there is historical precedent for this. In a fascinating study, “The Phantom of the Opera: Cultural Amenities, Human Capital, and Regional Economic Growth,” the authors looked at the development patterns of German cities that had built opera houses in the 18th century and found that the cities that had them did better when the industrial revolution came along than the ones that didn’t. Prosperity is good for the arts, but arts amenities also promote prosperity, by attracting the right human capital to a location. 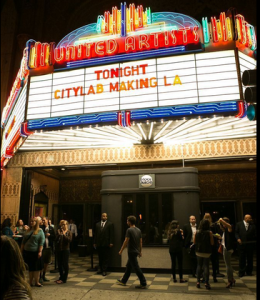 Do you foresee the creation of policy approaches that integrate design, the arts and culture in our efforts to rebuild a generative economy? RF: This really is the future. 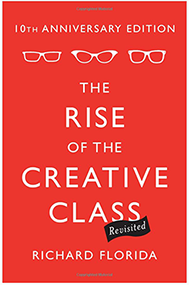 The creative class is truly a broad, perhaps universal class spanning not just technology, innovation, business and management but also arts and culture, and hopefully someday workers in services and factory work will be able to more fully use and be rewarded financially for their creativity too. Ultimately, key institutions and initiatives of the future will be shaped, as they always have, by human agency. They may be driven by economic logic, for better or for worse, but in the end they will be the products of political choices. Therefore, it should be every policymaker’s priority – from the local to federal level – to unlock the potential of the creative class as a way to lead us into the next stage of capitalism, one that is economically, socially, and culturally prosperous and equitable for all. 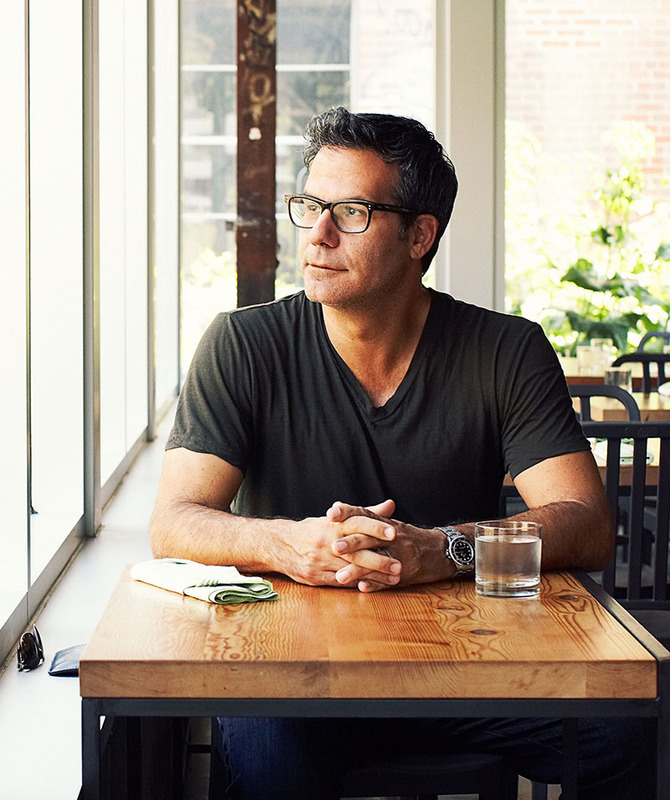 Richard Florida is an author, thought-leader, advisor, academic and researcher. 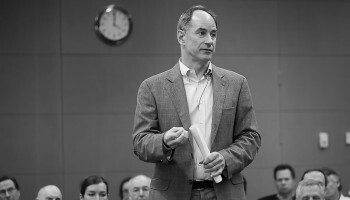 He is the Director of the Martin Prosperity Institute at the University of Toronto’s Rotman School of Management, Global Research Professor at New York University, and the founder of the Creative Class Group, which works closely with governments and companies worldwide. 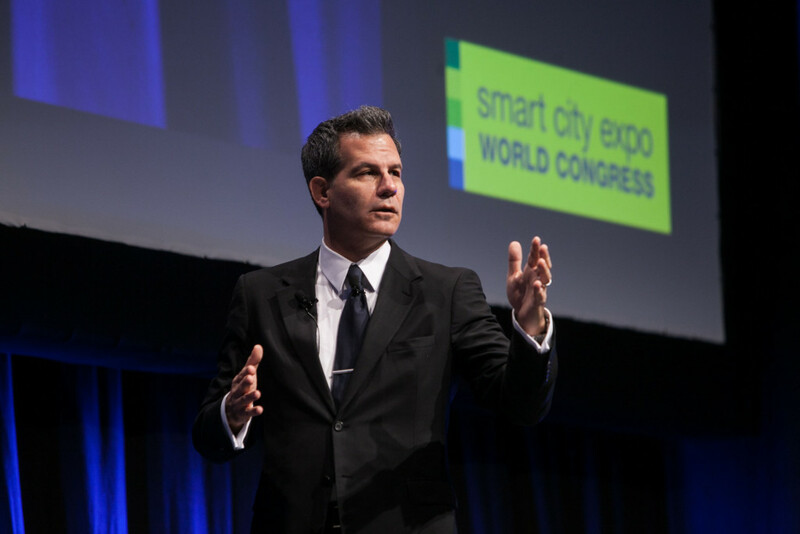 Richard Florida is perhaps the world’s leading urbanist, “as close to a household name as it is possible for an urban theorist to be in America,” according to The Economist. Esquire has included him on its annual list of “The Best and the Brightest,” and Fast Company dubbed him an “intellectual rock star.” MIT Technology Review recently named him one of the world’s most influential thinkers. GDI also named him one of the world’s global thought leaders of 2013 and the AAAS (American Association for the Advancement of Science) recently named him 100 of the most followed scientists. He is also a member of the Global Agenda Council on the Creative Economy, World Economic Forum. Florida is the author of several global best sellers, including the award-winning The Rise of the Creative Class (“one of the best business books of all time”—800-CEO-READ), and is a senior editor for The Atlantic, where he co-founded and serves as Editor-at-Large for Atlantic Cities, the world’s leading media site devoted to cities and urban affairs. Florida appears regularly on CNN and other news broadcasts and is a regular contributor to the op-ed pages of major newspapers and magazines. TIME magazine recognized his Twitter feed as one of the 140 most influential in the world. Florida previously taught at Carnegie Mellon and George Mason University, and has been a visiting professor at Harvard and MIT. He earned his Bachelor’s degree from Rutgers College and his Ph.D. from Columbia University.